If you are in El Paso and need a land survey, you are probably wondering what it consists of. Many people are curious about this and that is absolutely normal! 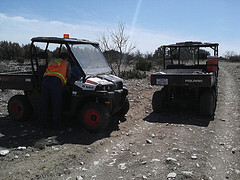 Surveying in El Paso is probably conducted in similar ways that other places conduct land surveys. 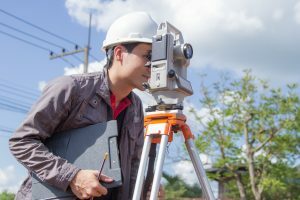 If you need a land survey conducted due to selling land or current construction in El Paso, Land-Mark Professional Surveying, Inc. can help you out. Surveying in El Paso is something that is actually done frequently. Here are some reasons why. 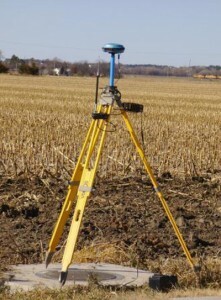 Surveying is a technique that expert surveyors use in order to map out points and distances on a specific piece of land. This survey is used to mark boundaries and determine who owns what area. This is something that must be completed before any construction takes place on the land in question. A land surveyor will find out where exactly the property sits and then go from there. There are many reasons for surveying in El Paso. Buying and selling land and property are definitely two of them. Placing boundaries is very important because it will help the landowners avoid serious things such as gas lines, power lines, and cemetery burial grounds. As stated, this type of land survey can determine where service lines are and make sure that no one is building or constructing on top of them. This is a great thing to know because it can prevent very serious issues from taking place. The last thing anyone wants to do is dig onto a power or gas line as it can be very dangerous. Lastly, land surveys are great in case there is ever a land dispute. Because surveys are considered legally binding, they are very accurate and can be used to determine which area of land belongs to whom. An accurate survey map will be able to protect your rights and let he government know which land is yours. A survey map can also play a part in how much your land gets appraised for as well. And you will want to make sure that it is appraised at the correct value. 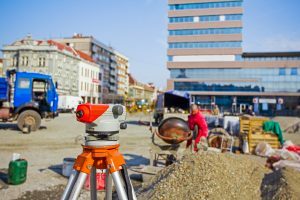 By accurately representing the borders of the property, a surveying in El Paso can be very beneficial to the owners and public officials involved. Without one, your land and boundaries are considered limitless. This isn’t a great situation that you want to get into. While land surveying might seem confusing, it actually plays a very important role in boundaries, value, and much more. Many people everyday are in need of a land survey for their property. This is because they might want to sell, buy, or build on it. No matter the reason, a land surveyor will need to be hired to come out and perform the survey. If you are in the El Paso area and need a survey of your land, Land-Mark Professional Surveying Inc., can take care of you today. We are always up for a new job no matter the challenge ahead of us! If you would like more information on how we can better assist you and surveying El Paso, please contact us! What Does the Cost of a Land Survey Depend On? Getting a land survey in Las Cruces is important if you are going to purchase or develop a property. Although it may be a cost you want to skip, a land survey pays off in the long run. Even more so, you may require a land survey to secure financing or to get permits for development. It is important to budget for this cost while you plan for your closing costs on a real estate purchase. You should consider this cost when planning for the development costs for a construction project as well. Land-Mark Professional Surveying, Inc. can provide you with a professional land survey in Las Cruces. Give us a call today to find out about the services that we provide and about the costs associated with that service. How Much Will I Pay for a Land Survey in Las Cruces? Land-Mark Professional Surveying, Inc. provides surveying services which are affordable to property owners, investors, and developers. There are many different factors which will go into determining what the cost of surveying a particular plot of land will be. For example, several key things that can affect the cost of a survey include the type of survey to be performed; accessibility of the property; size and shape of the property; time of year; vegetation on the property; and terrain. The cost will also vary depending upon the existence of records on the property, whether there are conflicting deed calls, and what applicable standards of performing the survey. So, if these components sound unfamilar to you, our experts can walk you through every step of the process. Categories: Land survey, Las Cruces NM, Surveying Tags: cost of land survey, cost of Las Cruces land survey, cost of survey, land survey, land survey in Las Cruces NM, propery in Las Cruces Comments Off on What Does the Cost of a Land Survey Depend On? When building over land, you will want first to find a surveyor who is knows about surveying in El Paso property. This is important because a knowledgeable surveyor can give you pertinent information about the property. Here at Land-Mark Professional Surveying, we want you to avoid as many problems as possible. Here are a few things a survey can tell you about a property before you begin to dig. When inspecting a property for purchase or to add onto, you will want to know where the borders reach. Often, it will not be enough to take physical measurements of the building. That is because legally, the property could either extend further beyond the border or closer within it. If it extends further, you can make better use of the space you have. If the border is smaller than anticipated, you may be encroaching on nearby properties. This can become a hassle if neighbors ever survey their own property and find out you withheld information. 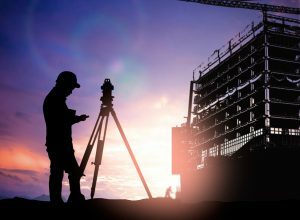 If you are planning on building or buying a building for industrial purposes, a survey can help. Because every city has classified different zones for different purposes, you may not be able to build. For example, if you want to maintain a small farm in your backyard there will be laws prohibiting you. Specifically, a farm belongs in agricultural zones as opposed to a residential zone where your home is. Another advantage to surveying El Paso properties is finding out what equipment a utility company has on your property. If a water company has already built a pipeline underneath the property, they could prevent you from building. While it may not be a problem at first, they can potentially use your property for any repairs. Similarly, if there are electric lines overhead, an electric company can prevent you from growing trees there. By surveying El Paso property first, you can avoid all of these problems. When you decide to build in El Paso, it is important to find a surveyor with plenty of experience. Land-Mark Professional Surveying has been in business for over 25 years. Our trained professionals can find out if your property may run into trouble in the near or distant future. There are several different scenarios where you’ll need a land survey in Odessa, TX and Landmark Professional Survey understands them all. We are the folks that have been looking after your surveying needs in the El Paso area for years. We provide a professional, competent service and our staff is all highly trained, knowledgeable and friendly. 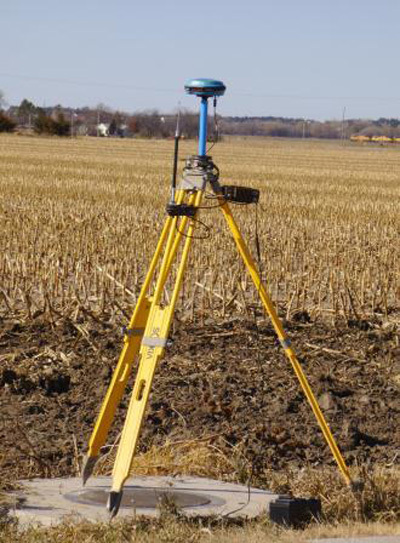 The most common reason to get you land surveyed is when buying a piece of property. It is a fact that in most parts of the country you will need a survey to get any money from a lending institution. Finding a good surveying company is another important part of the process. Landmark Professional Survey are very good at their job and they have the necessary experience to handle several different kinds of surveying. Of course there are several other very good reasons why you will need a land survey done. If you have already bought a piece of property or owned your house for several years and want to make an addition, getting a proper land survey done is an excellent idea. However, some of the reasons you might want to hire Landmark Professional Survey might not be clear at first. For example, if you have a government easement running through your property it is a good idea to look into an Odessa TX survey. Clearing up any issues between neighbors is another benefit that you will get from having a survey done, especially when your neighbor is building something new on their property. Get professional land survey in Odessa. Contact us today! When you are expanding a university’s campus in El Paso, there are some key factors you should be aware of for successful land planning and development. One of the most important elements in any building expansion is making sure you first understand the parameters and boundaries of the property. Conducting a thorough research of the property during the initial stage will guide all further building plans and budget costs involved. A survey company is indispensable but many people on the university committee dealing with expansion might not understand what they need to look for in one of these professional firms. 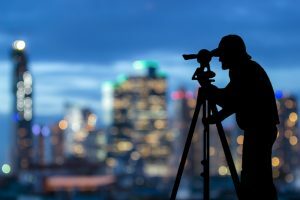 Like many other organizations, finding the best surveying firm means choosing one with membership in the right professional organizations, like the Registered Professional Land Surveyors in Texas. The staff needs to be qualified and competent as well. It is critical to make sure they have the right licenses to be able to work in a variety of different environments. 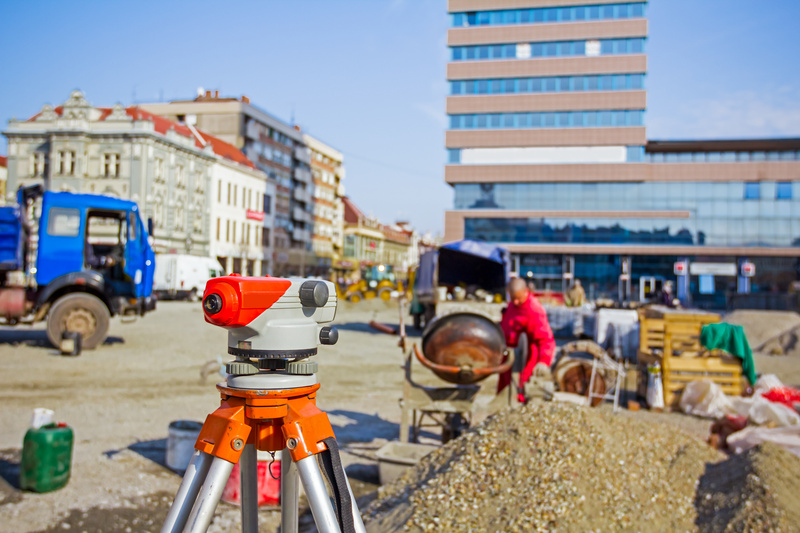 A trustworthy surveyor, like Land-Mark Professional Surveying Inc. will mention the kind of equipment and software used on their website so you can get a fully rounded view of what to expect on your upcoming university expansion project. Finally, it is always good protocol to work with a surveying company that can offer you a portfolio of the projects that they have worked on to better show the extent of their talent. 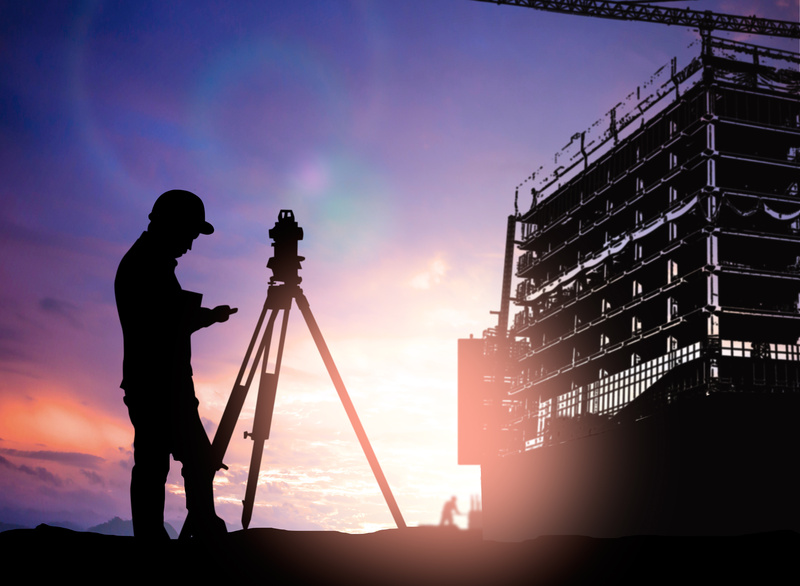 If you are in need of a reliable and trustworthy surveying company for a university expansion project, then Land-Mark Professional Surveying Inc. meets all the above criteria in what is crucial for land planning in El Paso. We are a professional firm that has been in business since 1991, and throughout this time we have created a strong community reputation for detailed success in every project we undertake. Allow us to partner with your vision and create the University expansion you need. Contact us today.